Located at over 2,000 m above sea level, the capital of Eritrea developed from the 1890s onwards as a military outpost for the Italian colonial power. 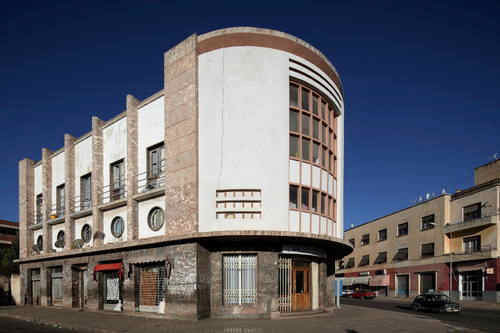 After 1935, Asmara underwent a large scale programme of construction applying the Italian rationalist idiom of the time to governmental edifices, residential and commercial buildings, churches, mosques, synagogues, cinemas, hotels, etc. The property encompasses the area of the city that resulted from various phases of planning between 1893 and 1941, as well as the indigenous unplanned neighbourhoods of Arbate Asmera and Abbashawel. 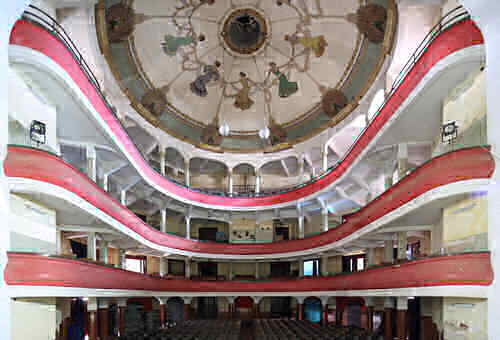 It is an exceptional example of early modernist urbanism at the beginning of the 20th century and its application in an African context. 해발 2,000m 이상의 고지대에 있는 에리트레아의 수도 아스마라(Asmara)는 이탈리아 식민 통치의 전초 기지로서 1890년대부터 발전해왔다. 1935년 이후 아스마라에서는 당시 이탈리아의 합리주의 이념을 실현한 정부청사, 주거용 또는 상용 건축물, 교회, 모스크, 유대교 회당, 영화관, 호텔 등을 포함하는 엄청난 규모의 건축 프로그램이 시행되었다. 이 유산은 1893년부터 1941년 동안 여러 단계에 걸쳐 조성된 도시 지역 유산, 그리고 도시계획 없이 원주민이 건설한 아르베이트 아스마라(Arbate Asmera)와 아바샤웰(Abbashawel)을 포함한 인접 지역으로 이루어진 유산이다. 아스마라는 20세기 초의 초기 모더니즘 도시주의와 아프리카를 배경으로 적용된 도시 건축을 보여주는 탁월한 사례이다.